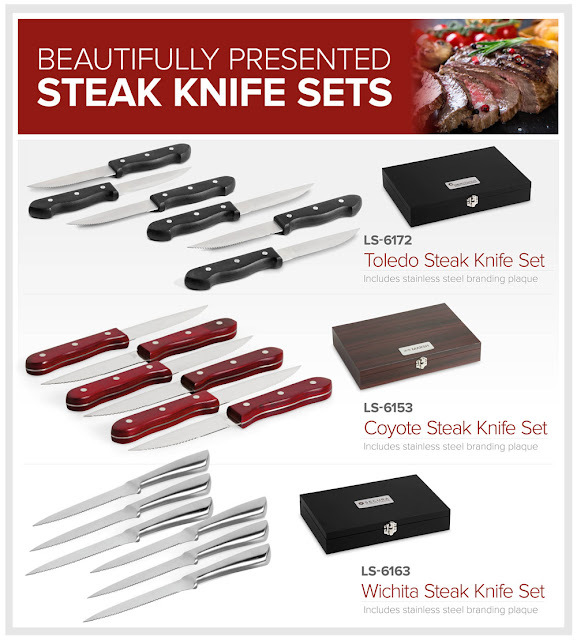 Your steaks are best experienced with our beautifully packaged Steak Knife Sets. To add a finishing touch, brand the free stainless steel plaques that are included in the sets with your message or logo. Take lunch breaks to the next level with the awesome new Nordic Lunch Cooler Bag, available in 6 vibrant colours. This cooler bag has been designed to.. The new US Basic Austin Carving Set has arrived just in time for the festive season! Designed to accommodate a domed sticker in the recess, it is..